Phyllis Scarbrough, of Raindance Baskets, is the newest member of our fiber family. 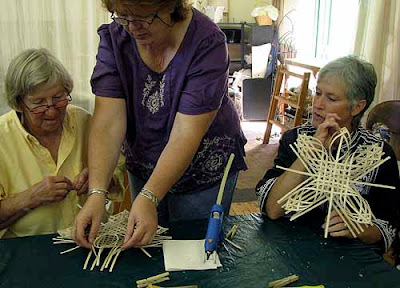 With her 20 plus years as a basketmaker and teacher she is just what we need to get our classes back up on the website and will be an inspiration for me to get back into teaching mode. It is a joy to have her energy and life spirit as a part of our studio. 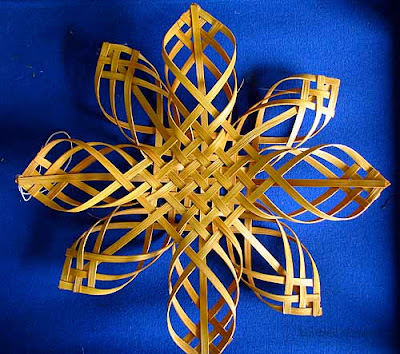 I have loved the baskets I have made with her and can’t wait to learn the Carolina Snowflake, pictured above. I am also looking forward to getting her hooked on weaving on one of our looms. I can see that they call to her. Right now she is at the studio most every Wednesday for drop in classes. You can either purchase a kit we have there, or call and let her know what you are interested in, so she can have the supplies on hand. Stop in and say hi and see what beautiful baskets she has for sale at the studio. 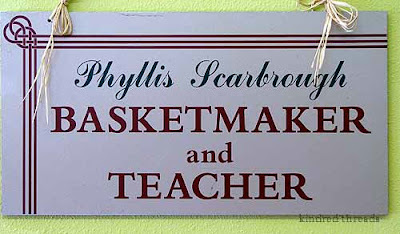 She also has lots of basketmaking supplies available. You can find a current list of her classes (and hopefully mine, soon) at the kindred threads site. Our studio location is 311 South Main St, Viroqua, Wi 54665. Go here to see pictures of previous classes Phyllis has given at the studio. We are also attempting to have the shop open the 2nd and 4th Saturdays of the month. But after my recent exit from the retail knitting shop world, I hesitate to jump back into the set hours of having a shop. So maybe call ahead on the weekends…..
How lovely, and completely inspiring. 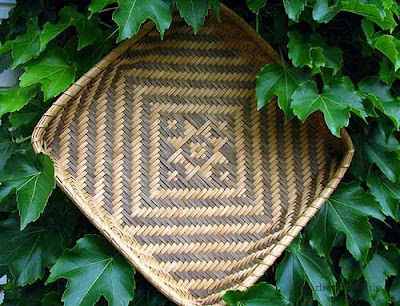 A basket weaver I am not, but now you’ve tempted me. . .